Million dollar homes sales in Santa Clara county rose sharply when first-time home buyer Mark Zuckerberg purchased 7 million dollar home in Palo Alto. He previously rented a four-bedroom home in Palo Alto's College Terrace neighborhood near Stanford University. No one knows why Mark Zuckerberg decided to buy the first home, but perhaps he noticed that the owner of just 2 percent stake in Facebook, Russian billionaire Yuri Milner recently paid 100 million dollars for the mansion in Los Altos Hills. I find that interestingly enough Yuri Milner will have to pay one million dollars in propriety taxes, which is enough to pay off Mark Zuckerberg home in seven years. 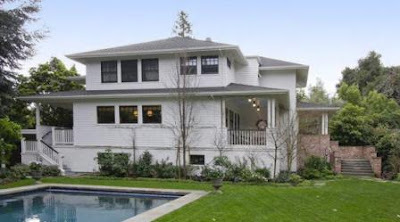 Assuming a 20 percent down payment for home in Los Altos Hills, the monthly mortgage payment will be around $400,000 dollars and it is enough to pay off 7 million dollar home in Palo Alto in less than two years.